Possibly the carmaker’s most striking creation ever, the BMW i8 is probably one of the most crucial cars of the decade with it’s design, performance and efficiency. 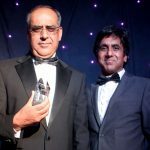 It’s 1.5 litre three cylinder turbo engine outputs a brutal performance, with a 4.4-second 0-62mph sprint and top speed of 155mph, not quite Ferrari territory, but will certainly give most Porsche 911’s a bit of a fright and the runs to the Audi R8! 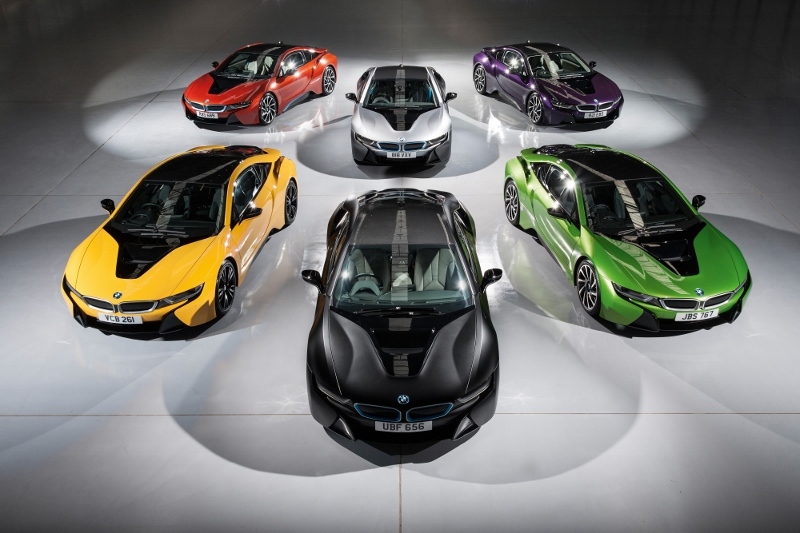 And now, customers who had a £104,540 burning their pockets to buy the i8, can choose from a multitude of extraordinary paint finishes which not only complements the BMW i8s styling but also reflects their personal style. This comes for those lucky few at an additional £5,495 – “small-change” you might call it. The new colours include: Java Green, Speed Yellow, Solar Orange, Twilight Purple Pearl, Frozen Grey, Frozen Black, San Marino Blue and Grigio Telesto Pearl to name just a few. 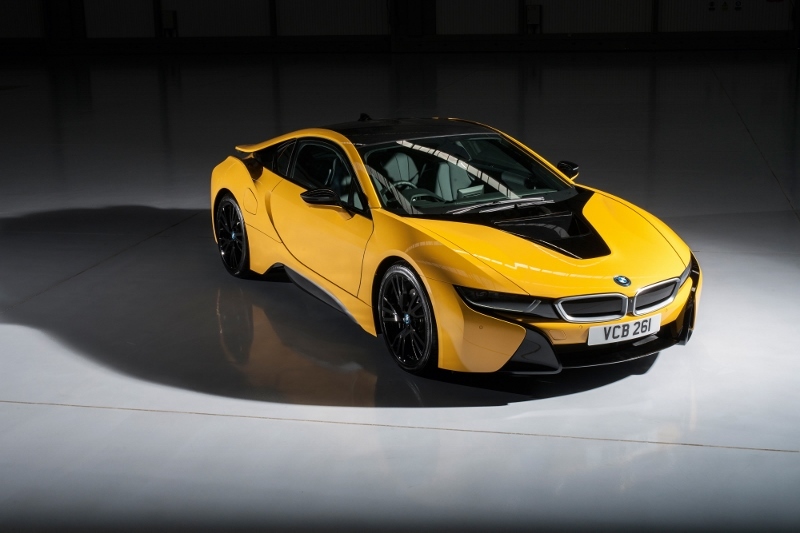 Even more striking is the matt finish of the frozen paintwork, which has a unique shimmer, making the contours of the BMW i8 even more striking and underlining the sculptural character of the vehicle. 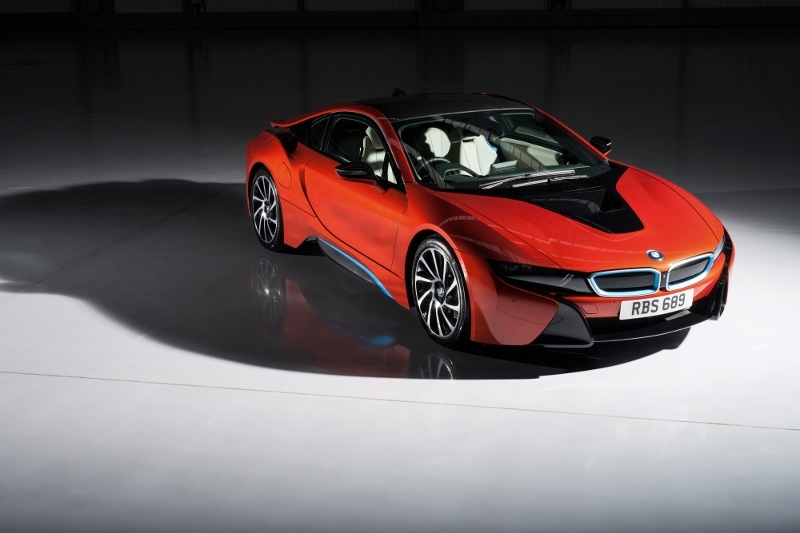 The addition of the new BMW Individual paint programme for the BMW i8 follows the success of the early orders for the Protonic Red limited edition and is bespoke to the UK. 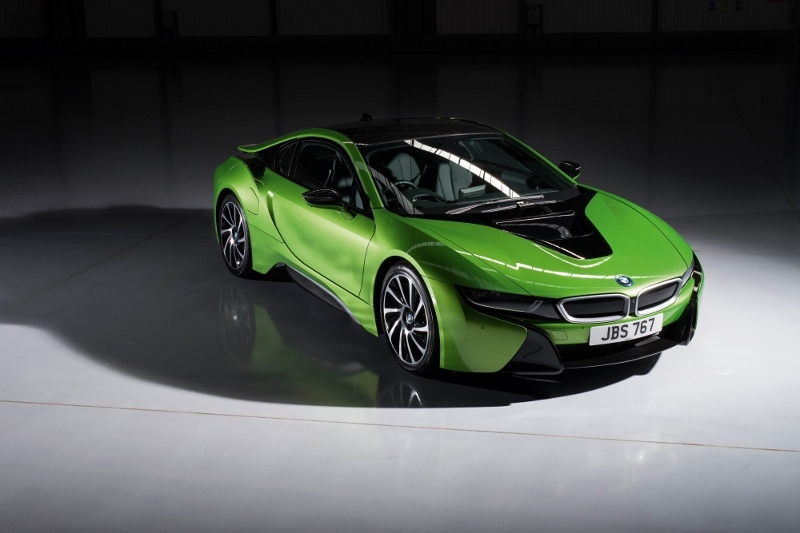 With its clever hybrid drivetrain, the i8 boasts an output of 362bhp and 570Nm of torque. It can also cover up to 23 miles in electric only mode, and takes BMW’s EfficientDynamics philosophy to a new high, posting emissions of just 49g/km and a combined consumption figure of 134.5mpg in the process.